Japanese Compact Van: Hiace, NV, Townace, etc. I checked out unusual auto after you posted, and I suppose I could try this route also. However, I will wait for you to finish all the paperwork to see how much of a headache it was. Without prying, may I ask how much you spent thus far? also, loving that roof rack. My purchase price with shipping and all paperwork to port of Long Beach was about $7300. I paid an inland shipper to take it from there to Colorado which was almost $1000. I could have picked it up I suppose but didn’t feel good about driving it 1000 miles until I ran through it. At this point, I’m into the normal vehicle fees of taxes, emissions and VIN verification (it doesn’t have one, Japan doesn’t use a 17 digit vin) safety inspection, etc. It looks like all this will go in to the state next week and then it could take up to six weeks for title and VIN issue. That should be it. It hasn’t been all that difficult, just time consuming. Everyone at each office finds it interesting and has been helpful, they just don’t do this very often so we are all learning together. I’m guessing this is different in each state and community. Well I picked a liteace to eyeball until someone else buys it. 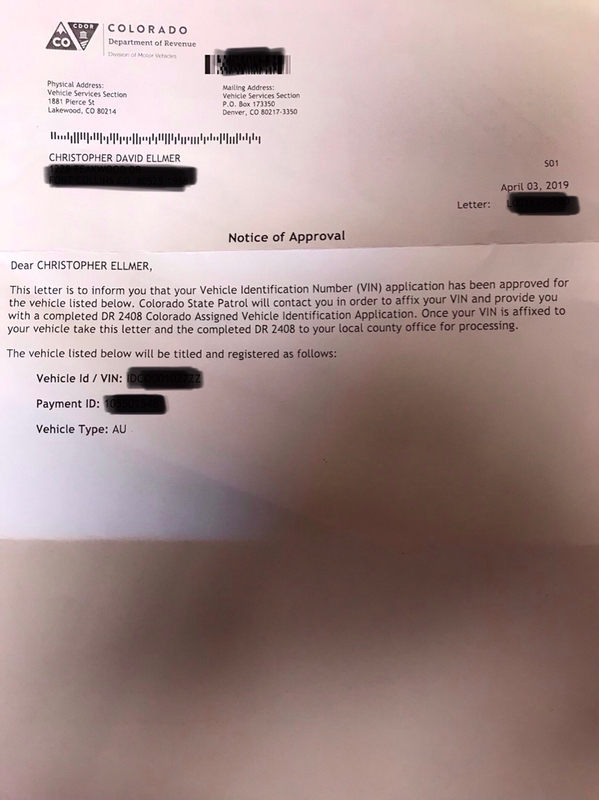 Getting tax money and 401K loan money together, emailed my insurance guy see what he could do to help as well as ask for a quote for insurance, provided him the van model and "vin#" provided on the add. Have yet to hear back from him. I'm guessing that since you are sill working out the paperwork issues on your Hiace, you cant get insurance nor can you legally drive on the roads yet? Insurance was easy. Go through Hagerty. They do specialty vehicles and will insure it with the 13 digit vin. I pay $28 per month with them. They do hot rods, kit cars, etc. very well known company. State Farm just stared at me when I went to my agent. I keep all my other vehicles through them but the van went elsewhere. Well, all is planned for picking up a Toyota Van end of next week. I e-mailed my insurance guy, Allstate, went on line on State Farm, and have yet to get a estimate for insurance. I called and spoke to Hagerty. The woman at Harerty was the only one to give an option to insure the van but... not if it as a daily driver. If I want to store it in a garage and never drive it, they are who I would go to, lol. How did you get them to insure your Hiace? Basically told them I don’t drive it much. This guy is wicked good at what he does as you can tell from photos and commanding prices....no negotiating at all. Went back to Hagerty, made it not DD but put in about 2,500miles a year which will cover the 2 planned road trips. And yep only about $42 a month. Any more updates on your Hiace? Yes, good news in the mail yesterday. All USA legal, just need VIN plate affixed by highway patrol and it’s ready to title. Been reading the forum on and off for a few years and never thought I'd see a HiAce section. Nice looking van you have there. We have a '95 LWB 2.8D part time 4wd with low range and an automatic gearbox. They're growing in popularity on this side of the pond too. We got 20 or so of them together for a camping trip last year. Mine fell thru last week, to busy to leave town and text drive and then buy. Hows that 3.0 diesel treating you?